The first subtropical depression of the 2017 Atlantic hurricane season has formed, before the June 1 start of the Atlantic hurricane season. The good news is that it poses no threat to land and is expected to be short-lived. 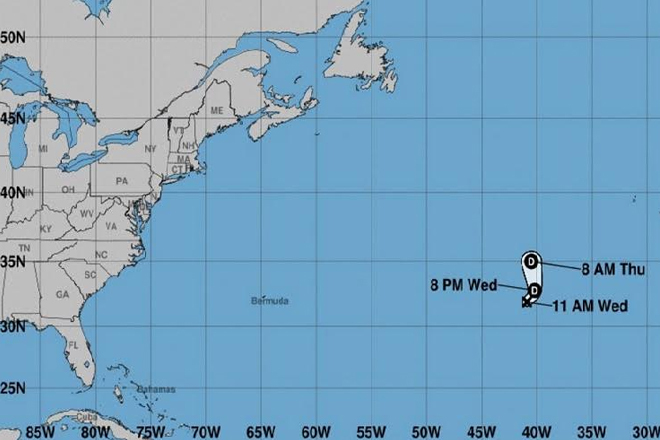 The National Hurricane Centre (NHC) in Miami said at 11 a.m. that the centre of the system which has maximum sustained winds of 35 miles per hour, had formed in the Central Atlantic between Bermuda and the Azores.